In this image from the video uplink from the detention center to the courtroom, Dylann Roof appears at Centralized Bond Hearing Court June 19, 2015 in North Charleston, South Carolina. *A federal judge said has set Nov. 7 as the day to begin selecting jurors for the federal trial of Dylann Roof, the white man accused of killing nine members of Emanuel AME Church in Charleston, South Carolina. Roof faces numerous federal counts, including hate crimes, in the June 17 shootings. He was present for Tuesday’s hearing before Chief U.S. District Judge Richard Gergel. State prosecutor Scarlett Wilson has said previously that while not all the families of the nine people killed want her to seek the death penalty, the state will argue that Roof be put to death if he is convicted in a state trial set for next year. 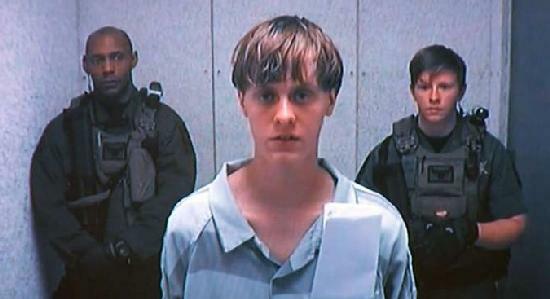 Wilson called Roof’s actions “the ultimate crime that deserved the ultimate punishment.” She said that she understands the desire of some victims’ families to forgive Roof but that it doesn’t eliminate the consequences of Roof’s actions. Gergel also is hearing a second case stemming from the church shootings: that of Roof’s friend, 21-year-old Joey Meek. Meek has pleaded not guilty to lying to law enforcement agents and failing to report what he knew about Roof’s intentions. According to an indictment, Meek knew Roof planned to shoot black church members during Bible study but didn’t report it and lied to authorities. A hearing is set next week on Meek’s request to have his bond reduced.